1. Watch the instructional video and teach the rhythm to the class slowly. ​(Have a part of the class add a chant of "osti - na - to" or counting to three, or conducting a 3 beat pattern to keep the pulse. 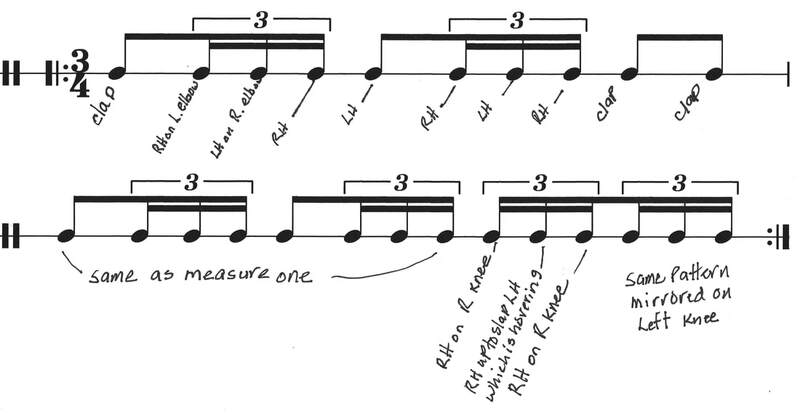 Define the difference between pulse and this rhythmic ostinato. ​3. Have the class try to do the ostinato while listening to the recording. ​4. Competition? Put the class in a circle and keep repeating the ostinato. Kids drop out as they "mess up" the pattern. Last one still doing it wins.